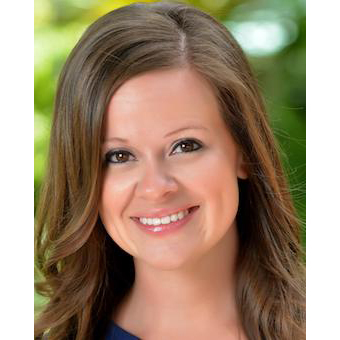 Born and raised in Clermont, Florida, Amy Ladd Miller has roots in the Central Florida area. She attended South Lake High and followed the family tradition to be a "lady gator" in Gainesville, Florida. There she graduated from the University of Florida with a Bachelor of Science in Business Administration with a Degree in Finance and a Minor in Real Estate from the Warrington College of Business. Following college she returned to Clermont to take lead over the sales team at Highland Homes of Clermont, her family's home building business. While with Highland Homes, she worked with homeowners on designing their new homes from beginning to end. From customizing floor plan ideas, to each and every finishing touch on the interior and exterior of the home, Amy worked thoroughly with each customer. She grew up in the business so it was only natural for her to gravitate into the Residential market. In an ever-changing industry she decided to venture into the general real estate sector where she could concentrate on helping current and future homeowners achieve their goals. She is dedicated to helping her clients achieve their dreams, while making their experience as smooth and pleasurable as possible. In 2012, Amy decided to branch off and open her own brokerage, ALL Real Estate and Investments, and currently lives in the heart of downtown Orlando. This gives her an insider view on the neighborhoods surrounding not only the immediate downtown vicinity, but all parts of the Orlando metro area. She enjoys spending time with her family, who live in the nearby suburb of Clermont. Boating, scuba diving, and biking are just a few of the outdoor activities she is constantly participating in alongside her family. Amy is also a dedicated mother to her daughter, Grace, and is loving every moment of her growing family with her husband, Mike. Amy's specialties include the residential resale market as well as new home sales. She works in all areas of Orlando, and prides herself in providing very honest and customer-oriented service for each individual she works with, hoping to make each experience an exciting and carefree one for everyone.